For the dedicated strength trainer, clothes matter. For the person who is less dedicated, it may matter even more. Baggy shirts cover up Beiber-like arm development and sweats camouflage your string of forgotten leg days. But a neck like a stack of dimes? Forget about it. Unless you’re living in the polar vortex with a Batman-like wardrobe of thick turtlenecks, there is no running, no hiding – your neck exposed. A well-developed neck is synonymous with power and commands respect. Yet, very few ever take the time out to address the neck with specific training. 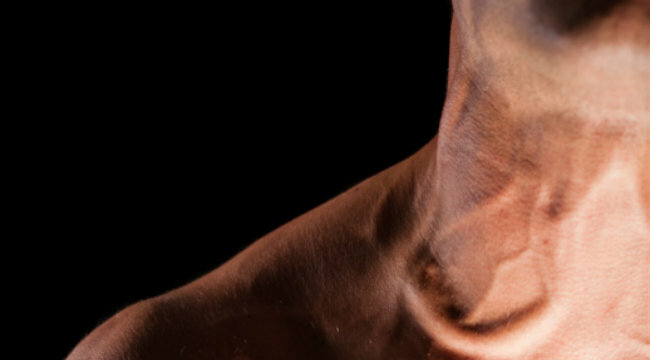 By understanding a bit more about the functions of the neck and how it pertains to the rest of your training goals, you can put yourself in a better position to improve these important muscles. Flexion, lateral flexion, extension and rotation, folks – these should make it into your weekly training routine. So go ahead and gather ye turtlenecks where ye may – it’s time to toss them into the giveaway box. You likely already know that compound movements – exercises requiring movement at more than one joint – provide the most bang for your buck and stimulate all-over muscle growth, fat loss, secretion of anabolic hormones and functional performance benefits. Performing just a few big lifts per workout will equate to gains all over, to an extent. The neck is an exception. The average-but-serious strength trainer has a more developed neck than the run-of-the-mill public pencil neck but to truly maximize neck strength and size – as with most muscles you want to bring up, you have to directly train the neck. The European Journal of Applied Phisiology and Occupational Physiology confirmed this in a flagship study published in 1997 entitled “Specificity of Resistance Training Responses in Neck Muscle Size and Strength.” The study consisted of three groups. The first group was a resistance training group that trained performing squats, deadlifts, push presses, high pulls and barbell rows. 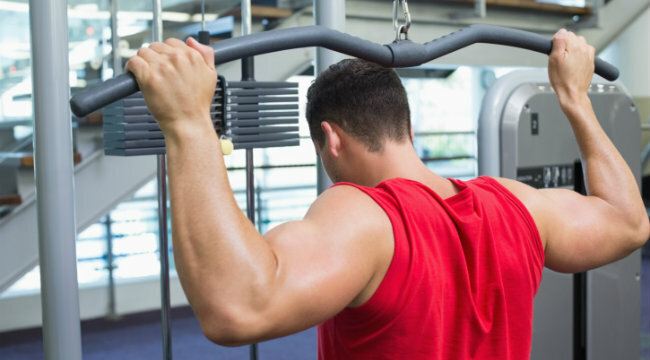 A second resistance training group performed the same strength training movements in addition to neck extensions with a harness three times a week. A third group did not workout at all. The resistance training group that did not train neck extensions did not increase neck strength. On the other hand, the subjects that performed neck extension work increased neck extension strength by a whopping 34 percent over the 12-week study. The group that performed neck worked increased the cross sectional area of neck musculature by 13 percent compared to no increase for subjects that did not directly work the neck. Bottom line, if you want a big, strong neck – surprise! – you have to train your neck! The Naval Health Research Center demonstrated in a 2006 study that significant increases in neck strength were evident in both static and dynamic strength assessments with one month of regular neck resistance training. Total neck size increased by an amazing 13 percent -- this can be the difference between being perceived as puny or powerful. The study also showed that military personnel that regularly trained the neck had fewer injuries and far less sick days. It can be reasonably assumed that these benefits would carry over to school teachers, seasoned fighters and work-at-home dads.